Have you ever considered the idea of using essential oils for getting rid of bad odors, bad shoe smells, or even as a cleaning solution for the home? Essential oils can worked just great as commercial products you owned but the best part is they're much better for your health and also for the earth! Essential oils can be found at many pharmacies and health shops offline and online. You can use them as they are or with water, baking soda, or white vinegar to bring out their cleaning power. But as useful as they are, they can also be dangerous, especially to pregnant women and children, because of their high concentration. Pregnant women are advised to either consult their doctor before handling and using these oils or avoid essential oils altogether during pregnancy and they must be kept away from children. So with all the above information now in mind, which essential oils should you choose for cleaning? (click on the link to read the essential oils in details) and here are a few suggestions on aromatherapy blend essential oil and how best to use them. We have a simple aromatherapy air freshener solution that can be used to make your living room, bathroom, and toilet smell fresh. To make this aromatherapy blend, mix four drops of rosemary, four drops of eucalyptus, six drops of lemon, and 10 drops of lavender essential oils into a cup of boiled water and pour into a clean spray bottle. The above combination also makes a very good disinfectant in general. If you want a better, more natural alternative for cleaning your walls and floors and you don't want to spend any more money on expensive, chemical filled cleaners that may be toxic and unsafe for your health, then give this natural solution a try. The advantage of using essential oil blends in cleaning is that it will leave your floor squeaky clean and nicely scented. Cleaning grease on the kitchen floor could be very difficult but it is easier when utilizing essential oils to clean them up. The same mixture can be used in cleaning the floors of the bath and others. 1 cup of vinegar, 1 gallon of hot water, 1 tablespoon to 1/4 cup of liquid soap, 1 to 2 tablespoons of pine or lemon oil. You can double the recipe depending on how much solution you plan to make. To make the solution, mix the vinegar with water first. Then, using a mop or wet rag, clean your floors and walls. If you want to get some extra cleaning power out of your solution, add liquid soap to the water and vinegar mixture. Make sure, however, that you clean your floor again with a mop that has been soaked in only clean water. Next, for your floors, add the pine (or lemon oil, whichever you prefer) to your wood floors. This solution can be used on any wood floor. And all other types of floors except, of course, carpet floors, as they will easily be stained by the vinegar. Other recipe: put ten drops of any of these preferred essential oils (pine, lemon, eucalyptus and sweet orange) in a gallon of water. For hardwood floors you may use 10 drops of peppermint essential oil, ¾ cup of water and ¾ cup of vinegar. Carpets are difficult to clean, let us admit that. This needs cleaning frequently especially if you have pets and children in the household. The frequent cleaning is to avoid the harboring parasites in them and also to remove any stains. The formula advised in cleaning the carpet is ten drops of lavender essential oil to a gallon of water. Separately for disinfection and deodorization you can use the combination of 10 drops of tea tree oil and lemon oil, 3 tablespoon of Borax and 16 oz of baking soda. If you are looking for a more cost-effective option for washing your dishes these days, this citrus sparkle powder blend is for you. This homemade dishwasher powder blend is just as effective as the dishwasher liquid that you would normally use, thanks to citric acid in the powder. You will get the same result from this homemade blend as the one you get when you use a dishwasher liquid but without all the chemicals. To start this formula, you need to gather the following things: 2 cups of washing soda, 2 cups of borax, 6 tablespoons of citric acid powder and 25 drops of grapefruit essential oil. To begin putting this powder together, place the washing soda, borax, citric acid powder, and grapefruit essential oil drops into a plastic container (or tub, whichever you prefer). Mix all the ingredients together completely. 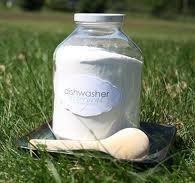 It is important to note that you must use 2 tablespoons of the dishwasher powder blend for every load of dishes. This formula will not only leave your dishes clean, but it will also leave them smelling herbal fresh. And better yet, this liquid can be made with ingredients that you may already have on hand. Plus, this blend will last you longer than your regular dishwasher soap since you won't need to use as much of the liquid to wash your dishes as the blend is stronger, more concentrated, unlike the regular liquid. To make it you have to dilute the liquid sopa water with water especially if you are using concentrated liquid soap to the condition where the consistency of the liquid soap is neither too thick nor runny. 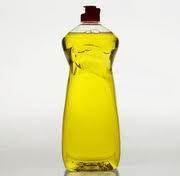 Then, fill a clean plastic squirt bottle with the liquid soap. Then add to the liquid soap the following oils: 8 drops of rosemary oil, 10 drops of lavender oils and 4 drops of euccalyptus oil. To use, you just add 1 to 2 tablespoons of the homemade liquid blend to your clean dishwasher and mix before washing the dishes. Don't forget to shake the bottle before every use. Here are some simple blends to clean your kitchen and your bathroom and kill the germs. Put the water into the spray bottle, add the oils, then shake before use. Spray it onto the surface and leave to dry, do not wipe. You may add 8-10 drops of the essential oil for cleaning in a gallon of water, half an ounce of baking soda and a cup of distilled vinegar. By far, Lemon essential oil is one of the safest essential oil to use for cleaning let alone its fresh scent and its disinfecting quality. The essences of the lemon are also effective in eradicating grime. A blend of tea tree, lavender and another essential oil selection may also be used to substitute the generic lemon essential oil. Beyond the knowledge of the general public, commercial glass cleaners are not as safe as they think it is due of it content of ammonia. This chemical can cause irritation of the eyes and other body parts with the same membrane structure. Another chemical component of these compounds is butyl cellusolve that has a negative effect to the nervous system. Others contain glycol that is a potent substance that can induce anemia if used excessively. This better alternative formula contains 3 drops of peppermint essential oil, 6 drops of lemon oil, a quarter of a cup of water and ¾ cup of distilled vinegar. There are other recipes that will require half a teaspoonful of borax which is a very common product in stores that is a natural alkali good for cleaning. This recipe may be multiplied by the volume depending on the number of times you would like to use this combination.